I’ve written before about the ludicrous subjects the American Holistic Veterinary Medicine Association offers “continuing education” courses on, including “Earth Acupuncture” to heal the Earth by poking sticks in the ground and adoption into a fake Native American religion to avoid federal laws concerning use of drugs and other medical therapies, as well as the more usual nonsense therapies such as homeopathy and homotoxicology. In my previous post, I also discussed briefly the process by which educational offerings qualify for credits needed to maintain licensure as a veterinarian, via the Registry of Approved Continuing Education (RACE) established by the American Association of Veterinary State Boards (AAVSB). There is no point to requiring veterinarians to stay current on the scientific knowledge in their field if there were no standards for what qualified as continuing education. Getting credit for a course on using astrology to choose the timing of drug therapies or some such would violate the intent of the continuing education requirements, to ensure the public that licensed veterinarians are knowledgeable about the current science in their field. However, the RACE committee and the AAVSB are, like all organizations involved in medical licensure and regulation, subject to the influence of politics and the ideologies of its members. The quality of scientific evidence concerning a medical approach is not always the deciding factor in whether or not teaching this approach can qualify as continuing education for licensing purposes. Recently the most ridiculous pseudoscience promoted by the AHVMA has failed to qualify for RACE approval as continuing education. This has been due in large part to the effort of RACE committee member Dr. Narda Robinson. While Dr. Robinson and I disagree about the evidence supporting some CAVM methodologies, most notably acupuncture, she does at least attempt to do what many proponents of alternative medicine do not, which is to apply an objective scientific standard to evaluating CAVM. The natural consequence of this approach is, of course, not to legitimize pseudoscience by supporting it as continuing education material for veterinary licensure. The AHVMA is, not surprisingly, seeking ways to gain such legitimacy regardless of the lack of sound scientific support for some of the nonsense they promote. And they are clearly attempting to use political means to accomplish this, which is certainly easier and more likely to succeed than trying to rigorously test their methods scientifically to see if they actually work. The RACE committee denied approval for CE credits for over 60% of the 2009 AHVMA annual conference. AHVMA appealed this and as of October 14, 2010, had still not heard about any decision of the AAVSB (parent organization of RACE). After the conference we received notice that AAVSB had denied our appeal. Their website states that the appeal is directed to the AAVSB Board of Directors. However, the letter of denial indicated that if it has merit, they direct it back to the RACE committee for final evaluation. We would not have bothered with this procedure if we had known it would be submitted back to the RACE committee, since we already know the attitude of the RACE committee’s sole judge of CAVM, Narda Robinson. Subsequent to their communication with us, the RACE committee has denied credit to an increasing variety of CAVM meetings. At the same time, many states have approved those meetings for CE credit. Most states have reciprocity with other states for approved CE. AHVMA applied to the state of Kentucky for approval of this meeting for CE credits. Just before the meeting we were told that because we do not have RACE certification, we are not approved in Kentucky. However, with the help of convention center staff, we hope to reverse this at the next meeting of the Kentucky state board in December. They go on to detail the specific courses that have qualified for credit by specific membership organizations, which often have their own requirements apart from those needed to maintain one’s state license. Not surprisingly, the Academy of Veterinary Homeopathy doesn’t share the persnickety scientific standards of the RACE committee and accepts most of the AHVMA’s offerings. The RACE committee of the AASVB is the body that approves courses for continuing education credits, given by organizations that are not part of the AVMA House of Delegates. In December 2008, Narda Robinson was appointed as the sole person on the RACE committee of the AASVB to judge Complementary and Alternative Veterinary Medicine (CAVM). In 2009, the RACE committee denied CE credits for all homeopathic and homotoxicology meetings. They denied credit for most acupuncture and Chinese herbal medicine that included Traditional Chinese Medicine. Can you imagine not allowing credit for such standard veterinary practices as homeopathy, homotoxicology, or Traditional Chinese Medicine? A crisis indeed. In California, there is already a process in place to form a new organization that is recognized by the state association. In order to be able to present continuing education that the state of California will offer credits for, an association must be a member of the California Veterinary Medical Association (CVMA) House of Delegates. Those who sign the petition must be members of the CVMA. The CVMA does not care how many non-CVMA members are included in the organization, as long as they have 25 CVMA members to start the organization, and maintain 20 CVMA members once the organization is accepted…. In 2011, the AHVMA meeting will be in California and co-hosted by the California Holistic Veterinary Medical Association (CHVMA). Because the CHVMA is a member of the California Veterinary Medical Association House of Delegates (CVMA HOD), and all CVMA CE is approved by the state of California, this means next year’s meeting is approved by the California State Board of Veterinary Medicine for CE credits for all lectures. Most states have reciprocity with the state of California. As long as your state has reciprocity with California, they will accept these lectures for CE credit. AHVMA has been trying to become a voting member of the AVMA House of Delegates. It is important that AHVMA has enough AVMA members to meet the requirements of membership. Once AHVMA becomes a member of the House of Delegates, AVH RACE CE is also automatically approved since we are, essentially, part of AHVMA as an Allied Group. Through processes such as these, the legitimacy of medical approaches is established not on the basis of scientific evidence, but through the political lobbying efforts of a minority of practitioners who believe in such approaches regardless of the evidence, and through the apathy and desire not to offend or engage in controversial debate of the silent majority who do not use such therapies. Of course, all human social institutions rely on politics to solve disputes without violence, and certainly this is appropriate. Unfortunately, when there are clear right or wrong answers in such dispute unequivocally established by objective scientific means, it is unfortunate that such mechanisms can be used to make an end run around the truth and promote failed ideas that science and reason would require us to abandon. It is certainly not in the interests of our patients or our profession to have homeopathy, Earth Acupuncture and other similar nonsense gain legitimacy as medical therapies by popular vote regardless of the underlying facts about such therapies. One can hope that enough people within veterinary organizations such as the AVMA and CVMA will recognize that politics and belief is on the verge of triumphing over truth and will object, but I fear such hope will prove unfounded. Thanks for the political CE insider information. Where can i find stuff like that out? Certified CE hours need to be measured and abandoned if it cannot be shown to be effective. Unproven medical care is more likely to harm than help. A good clean up start would be for the state vet boards, when they are CE providers, to stop producing afternoon fraudulent CE hours. CE hours of credit for attending state vet board meetings ARE required by law to be measured in hours. But everyone involved knows those afternoon tooth fairy CE hours of credit produced by the state vet boards are bogus. Since the state board vet meetings do not last past noon those attending state board meeting can get fraudulent afternoon hours of CE credit documents produced by the state vet board and vet board employees because the meetings have ended in the morning. The Physicians have dropped the word hours from their CE requirements and state vets boards should also. When i contacted the fla pharmacy board about their hour measurement for attending pharmacy board meeting to get CE credit they emailed me the pharmacy board shows up in the afternoon to provide real afternoon CE hours or credit. The FLa vet board publishes the opening and closing times of the state vet board meetings on the internet so you can see they are producing hours of afternoon CE credit but are on their way home or in the liquor bar resturants of the board meeting hotel during those hours . Local vet CE meeting are required by law to be measured in hours but are not. One CE meeting hour is measured by law in florida as at least 50min long. In Florida you can no longer get local CE providers to follow the law and produce measured meetings that do not end early when they see the Fla state vet board is providing fraudulent CE afternoon hour documents. earth acupuncture? landscape chi and earth meridians? flower essences? gemmotherapy? homeopathy? how can any self-respecting veterinarian affiliate themselves with a “professional” organization that promotes nonsense over reason? belonging to such an organization would be a liability to one’s medical reputation and practice, wouldn’t it? just sayin’. does anyone know what the difference is between the acupuncture courses taught at CSU, Tufts, IVAS and the Chi Institute? i’m assuming that, as serious academic institutions, CSU and Tufts don’t teach the magical and mystical musings of Chinese medicine associated with acupuncture. are there any vets that practice acupuncture, but don’t use TCM therapies? or are these modalities always “joined” together? graduates I know who have been through the course seem to have missed or avoided the skepticism Dr. Robinson expresses about chinese herbs and use them in their practices. I don;t have much information about the Tufts or IVAS courses, but a quick Google shows quite a few veterinarians who seem to have gotten both acupuncture and herbal (chinese and western) training at Tufts. The CSU course is promoted as the only “science based acupuncture course ” >>> doesn’t those who teach this course make the claim and promote that acupuncture works? If so what randomized trial do they provide vets and the public to support that efficacy claim? If they do not claim that acupuncture works why spend money to study sticking needles in patients at a government funded vet school? How does that help anyone or avoid charges of animal abuse at CSU if the course needling patients is not part of an investigatory medical care study? Those are good questions Art, which have not been answered to my satisfaction anyway. Dr. Robinson is careful to keep her claims vague, but others associated with the program, particularly Dr. Gaynor who is board certified in anesthesiology, has made claims for acupuncture as a supplement for anesthesia, specifically that it can reduce the need for drugs, which I find particularly disturbing. It is interesting though, that the actual acupuncture course is a CE short course, not a part of the vet school curriculum. This may be a way to avoid some of the public scrutiny that would apply to the publicly funded curriculum. The students are exposed to acupuncture in clinical rotations, but are not explicitly taught how to do it unless they take and pay for the course separately during or after vet school. Dr. Robinson and I have so far agreed to disagree about the state of the evidence supporting the veterinary use of acupuncture. I have been a bit frustrated that, short of taking the CSU course, I have not found any way to see and evaluate the evidence she claims is so compelling about acupuncture. That said, we agree at least in theory about the need for good quality scientific evidence to justify therapeutic modalities and about the lack of convincing evidence, or the strong negative data, concerning many alternative approaches. I think Dr. Robinson is in a unique position to promote a more rational, scientific approach to altered claims, and I hope we can work together where we do agree to minimize the infiltration of improve. And outright bogus methods into vet med. Dr. Edzard Ernst, who is one of the most effective critics of qltmmed, was also a believer and practitioner of some such methods, so that does not automatically disqualify one from promoting scientific medicine. Well, I applaud Dr. Robinson’s wok on the RACE committee getting things like homeopathy and un-evidenced herbal regimens, etc. disqualified from qualifying as RACE certified CE. I also realize that many of the folks at AHVMA really do not like her, and I am willing to support her in many cases. On the other hand, I don’t think it is too much to ask her to apply the same levels of scientific scrutiny to her claims about acupuncture, and to publish her results in a scientific paper once in awhile. It is shockingly difficult to find scientific papers she has authored on acupuncture. I can’t think of a skeptic who does not agree that something happens when you stick a needle in a patient, the question is whether the effect has any clinical relevance, and that is where the evidence is lacking. Unfortunately, despite her academic position promoting acupuncture, she really has not provided any strong evidence supporting it’s clinical use and effectiveness. At least from a perusal of the topic descriptions of the CSU course, it does not look like that evidence is provided there either. My research in acupuncture is, at this time, focused on the neuroanatomic basis of acupuncture. I began compiling this evidence in 2000, and have a book currently in press documenting the structure-function linkages of acupuncture points in the human. Regarding clinical evidence, I present this in the course. The course brochure is not the place for this, which is why you don’t see it there. Hi Narda, As I understand it, the “neuroanatomical basis” for acupuncture involves the changes which happen in nerve transmission, neurotransmitters, etc. when acupuncture is applied to a patient. As I said before, I don’t know of anyone who does not agree that something happens when you stick a needle into a patient. What I have not seen is any good evidence that acupuncture is particularly useful or effective for any specific disease. A well-controlled trial showing that acupuncture (not electro-acupuncture, which seems to be a popular thing to test and claim is just acupuncture without comparison to TENS recently) has a clinically significant and lasting effect on something like degenerative joint disease for example. Why is this type of evidence not available in published studies? Scientific medicine progresses by the open availability of information, as I am sure you know. It seems a bit unfair to require people to pay thousands of dollars for a course just to learn what the evidence is for clinical effectiveness. If I was convinced that it worked, I would be more likely to take the course and think I was getting my money’s worth. 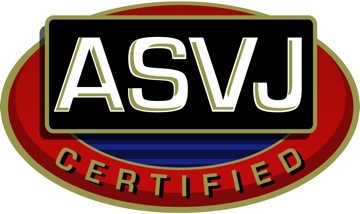 Having been intimately involved in organized veterinary medicine on the state and national level for the past 28 years, having practiced veterinary medicine for almost 30 years, having founded (an AAHA) hospital in 1982, being a Diplomate of the ABVP (Canine/Feline), AND being a MAV Certified Acupuncturist whose practice is currently limited to acupuncture and pain management, perhaps I am in a somewhat unique position to “chime in” on this discussion, with my $0.02 worth. 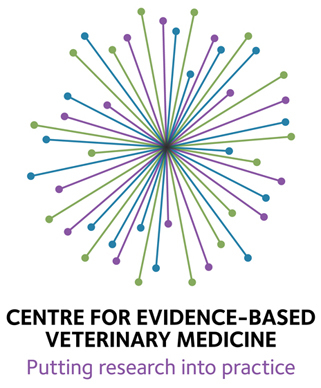 Fortunately for us all, as veterinarians and scientists, the AVMA is focused on “evidence based” medicine. Ergo, I feel that “practitioners” of a “holistic” approach, including such modalities or perhaps pseudo-modalities, as homeopathy or “earth acupuncture” & other “studies” mentioned in above comments, still have a long way to go before being “legitimatized” by our national organization, and thus by our profession. However, based solely on my experiences with Dr. Robinson’s classes, and my subsequent practice and experience using acupuncture as an integrative modality with Western medicine, I can only urge my colleagues to approach this extremely effective modality with an open mind. We are each of us PRACTITIONERS … when we cease to learn, we cease to grow. And we cannot learn without admitting what we do not know. Certainly you can understand the skepticism of those of us who have nit seen the clinical evidence supporting acupuncture that you refer to? There is a substantial body of clinical research on acupuncture, mostly in humans of course, and I am actually fairly familiar with it. It pretty clearly shows mild benefits for pain and nausea that can be explained as non-specific effects involving expectancy, the Hawthorne effect, and other “placebo” effects. While this may have some mild clinical value in humans, it certainly does not support a specific and clinically meaningful effect based on true physiological mechanisms even for pain and nausea, and certainly not for any of the many indications acupuncture has proven useless for. It is tricky to study since double-blind sham controls are nearly impossible, but they evidence is very strong that the details of the treatment ( needle location, type of needle manipulation, etc) don’t matter. How then is this consistent with your claims that there is a sound scientific basis for the clinical use of acupuncture? Granted, the brochure for the course isn’t the place for a detailed analysis of the evidence, but unless you make some sort of case for your claims in advance, skeptics cannot be expected to take a long and expensive course in a method for which the evidence seems quite poor only on the basis of your claim that their questions will be answered once they take the course. A bibliography of the research that has convinced you acupuncture is a truly evidence-based practice would be a good start. Thanks for chiming in. All I can say is that I agree knowing what we don’t know is critical to finding out what is true. However, it is a fallacy to assume that skepticism about acupuncture is based on ignorance, and it is a mistake to believe that ones personal experience is a reliable guide to what is effective and what isn’t. If this were true, we wouldn’t need scientific evidence. Almost all therapies that have been proven ineffective and discarded (or not in the case of much alternative medicine) have seemed to work based on individual experience. And I promise you, I have spent years investigating claims about acupuncture and am very familiar with the various theories and the evidence. I am open minded or I wouldn’t be asking Dr Robinson to make the effort to provide convincing evidence, but I don’t believe The best way to make a sound judgement of something is necessarily to try it for oneself. We are simply too easily misled. There are studies that show the effects of acupuncture relate to the stimulation of neural structures. There is evidence that shows destruction of nerves obliterates these effects. Brain mapping, such as functional magnetic resonance imaging (fMRI), reveals correlations between acupuncture point stimulation and cortical activation. Studies have found neuromodulators with anti-nociceptive properties released during acupuncture. I would suggest that the problem is not that acupuncture commonly seems to relieve pain, but rather the difficulties we have in reconciling its effects with a complete evidence-based understanding. Might I remind us, while it might seem impossible to believe that with today’s advanced scientific knowledge base and experimental techniques, it is indeed true that the mechanism of many medications used in anesthesia is simply not clear. Should we not use an anesthetic drug, or an acupuncture technique, simply because complete evidence-based answers do not exist yet? Most of us, upon being admitted to the profession of veterinary medicine, solemnly swore to use our scientific knowledge and skills for the relief of animal suffering. Since we also accepted as a lifelong obligation the continual improvement of our professional competence, in the end it falls to each of us to both seek courses that provide the skills that relieve animal suffering, and to support the advancement of our scientific knowledge base. When drugs or surgery are not appropriate or available, shouldn’t we use our other skills for the relief of animal suffering? What should i measure in the real world to determine if i am open minded? How do i keep an open mind without my brain falling out? here is a basic summary of what I know about acupuncture in animals. If the acupuncture neurology experts have any data to share i would like to see it. And throw in some data that shows all the backs the neurologist are cutting has any long term efficacy while you are at it. “Earth acupuncture”? Pushing sticks into the ground? These people have not read Sir Arthur Conan Doyle’s story “The Day the Earth Screamed”, it seems. Or perhaps drilling for oil would count? 1) Bartimaeus, I don’t see why you want me to exclude electroacupuncture; it’s another form of somatic afferent stimulation that results in neuromodulation. My course includes instruction on various type of neuromodulation. Needling is one, electroacupuncture is another, massage is another, etc. Yang CP et al. A Randomized clinical trial of acupuncture versus oral steroids for carpal tunnel syndrome: a long-term follow-up. The Journal of Pain, 2010. Epub ahead of print. Pfab et al. Acupuncture in critically ill patients improves delayed gastric emptying: a randomized controlled trial. Anesth Analg. 2010 November 16. Epub ahead of print. This statement takes me back about 15-20 years…I’m guessing as to the time frame… when I first learned from a colleague that cyproheptadine could be used as an appetite stimulant in cats (providing an alternative to IV valium, which was then mainly what we used). A friend of mine who worked at the UT Vet School was talking with me about one of her cats. I don’t remember right off the top of my head what the cat’s problem was, but I do remember that the cat wasn’t eating. Having used cyproheptadine successfully in my practice, I suggested that she try this with her cat. She asked around amongst the faculty … and to a person, they said “Oh, we don’t know about this.” Or, “There’s nothing published about this.” BUT, my friend was really desperate to get her cat eating again, so she started the cat on cyproheptadine, based solely on my experience with the drug. Lo and behold, the cat started eating. You’ll forgive me, I trust, if I beg to differ with you concerning the reliability of ones personal experience as to what is and isn’t effective. Based on my experience, acupuncture is an effective modality for a Western practitioner to add to the tool-box as we seek to treat our patients for a variety of conditions and disease processes. The problem with that kind of anecdote Mili is that it may represent reality as you remember it, but in fact a quick check on PubMed shows that there are hundreds of journal articles on the use of Cyproheptadine as an appetite stimulant in both humans and animals dating back to at least 1970. Of course, 20 years ago it was not so easy to check, but the fact is that there was already a substantial evidence base for that treatment 20 years ago. Perhaps you were fortunate to “discover” that treatment yourself, or maybe you learned about it form someone who was aware of the evidence. There are plenty of examples of treatments that both doctors and patients thought were effective based on their experience, but that were shown to be ineffective when tested in a rigorous scientific manner. Internal mammary ligation in humans is just one dramatic example. http://www.nejm.org/doi/pdf/10.1056/NEJM195808282590903. I hope you will forgive me, but there is plenty of evidence of that sort that personal experience is not reliable, and the more confidently we rely on anecdote and experience at the expense of good science, the more likely we are to do a disservice to our patients, clients and ourselves. It is something we are all prone to do, but history is fraught with many examples of how our experience can mislead for every case in which it happened to be correct. This is why I and The SkeptVet and others are asking for the evidence for the efficacy of acupuncture. It is not meant to be a personal attack or a close-minded dismissal, which seems to be how you are seeing it. An understanding of how the human mind works, and the cognitive errors we are all likely to make will show how important it is to evaluate ideas in a controlled scientific manner. Bartimaeus is exactly right. Conclusions based on anecdotes may individually be correct or incorrect, the problem is that anecdotes are not consistently reliable and yet they are very convincing. If you give a cat with Interstitial cystitis antibiotics, it’s symptoms will improve and you will believe you have cured an infection. Only controlled research is capable of showing that the symptoms would have gotten better just as quickly without the drug and it’s associated risks and costs. Timing has a lot to do with the success of a rain dance. Definition of quackery quoted from “Alternative” Health Measures published by AMA p 5: It is the promotion of an unproven product or service. The operant word is promotion rather than intent.
. Further definition quoted from “Alternative Health Measures published by AMA p 5: Fraud: the FDA has defined health fraud as promotion of an unproven remedy for profit. FDA definition of fraud quoted in Sept/Oct 93 NCAHF Bulletin Board: The deceptive promotion, advertisement, distribution or sale of articles, intended for human or animal use, that are represented as being effective to diagnose, prevent, cure, treat or mitigate disease (or other conditions), or provide a beneficial effect on health, but which have not been scientifically proven safe and effective for such purposes. Such practices may be deliberate, or done without adequate knowledge or understanding of the article. (Quoted from a letter from M L Frazier – Director, State Information Branch 6/18/93). The reason I excluded electroacupuncture is that several of the recent studies using electroacupuncture did not compare electrical stimulation without needles to the electroacupuncture. I agree that there is some evidence that TENS can give some pain relief for certain conditions. However, I am not sure that using needles as the electrode makes much difference, and the recent studies don’t answer that question. It’s a little bit like giving a vaccination or injecting medication and calling it acupuncture. People are always impressed by needles. I will look at the paper you cited (Yang) and see what it says-thanks for that. Bartimaeus is not only right, he is a model of courtesy in his replies and an example to us all! TENS has a write-up over at Andy Lewis’ Quackometer, if I’m not mistaken. Congratulations Skeptvet on keeping this blog on all the right lines! Can I come in with my 0.02 euros? I do not think there is even a discussion on if acupuncture works or not (….or oviously I can see there still is, but should not be). I can also see that articles will not make you satisfied but I will send you four that I use for the students, as there are colour pictures in the first two that explain a lot even if you are not trained in brain anatomy and physiology – as most vets are not. The third is about disc disease and surgery with or without acupuncture versus acupuncture alone. The fourth is what the consensus conference said about acupuncture in 1997 and there are nowadays more studies that would have openned up other indications. Do not only look these up but read them and let me then have your comments. Interesting stuff! About doing research on these modalities when you work at a university is not an easy cup of tea – I know Narda has to lay low to keep her job and so do I. It is ok nowadays to do research on neutraceuticals but acupuncture and homeopathy or herbs or chiropractics – not so easy! People do not want to see someone payed by the goverment doing this resarch and on the otherhand, only studies done by real knowledgeble scientists are usually the ones that have the quality needed for a good study. So, we at the universities should be able to do them without being afraid to loose our jobs. And then, if you do a good study, no good journal will publish it, because it is too dangerous for them as sponsors and reviewers might think differently… I tell you, its not an easy path to walk! There are easier ways to become a respected researcher at your university or easier topics to choose if you want to become a professor. But I think we scientists that do research in complementary medicine are good for the profession, we will see that some things work and others not – and that is what the customers – the animals – need. Humbug is not good for them – or the profession – but good treatments with smaller side-effects are good and should be researched. So, please sponsor our research even if you are sceptic…we can maybe provide you with some articles of things that do not work. …But this is the reason why we do not have nearly any acupuncture veterinary articles published – especially not in any good journals. That was maybe 0.04 cents worth… please look up the articles. Wu MT, Hsieh JC, Xiong J, Yang CF, Pan HB, Chen YCI, Tsai G, Rosen BR, Kwong KK. Central nervous pathway for acupuncture stimulation: Localization of processing with functional MR Imaging of the brain – preliminary exterience. Radiology 1999;212:133-141. Annina Laim, dr med vet; André Jaggy, dr med vet, phd; Franck Forterre, dr med vet; Marcus G. Doherr, dr med vet, phd; Gina Aeschbacher, dr med vet; Olivier Glardon, dr med vet. NIH consensus conference on Acupuncture. J Am Med Assoc 1998,280:1518-1524. A word of caution if you look at acupuncture articles though: as someone said here on the list, every needle put into the body has an effect so you cannot judge acupuncture from an article that tries to find a difference between acupuncture and sham acupuncture (where sham means that the needle is put into a non-acupuncture point but still into the body). This type of sham acupuncture always helps nearly as much as “real” acupuncture. You should compare acupuncture to no treatment or to another good (or bad) therapy. If you do not find the articles, I can forward them if someone wants to have the pdfs. Your comments are quite welcome. I will look at the articles as soon as I can (I am currently out of the country) and see if they shed any light. For now, I just wanted to remark on a couple of misconceptions you seem to have. Vets are quite certainly trained in neuroanatomy and physiology, and I don’t think you can simply attribute scepticism about acupuncture to ignorance. I first started investigating acupuncture in vet school with the assumption it was beneficial, since that is how it is routinely portrayed in the media. It was only after extensive reading of the relevant literature that I began to be convinced otherwise. Be careful not to charicature people who see the issue differently or assume they must be ignorant. Smart, informed people can disagree with each other. Also. Articles on acupuncture are routinely published in both the human an veterinary literature , so I don’t think it is fair to say that the lack of conjuring research is due to bias against studying or publishing on the subject. Dr Robinson runs a program at her university all about acupuncture. There is just a hint of conspiracy theory in your suggestion. Again, thanks for your input, and I look forward to e amining your references when I have access to them. Can someone post the articles so we all can read and ask questions about them? A little scientific journalism goes a long way in a good debate.